Sandra Delgado is a Colombian-American actor and singer born and raised in Chicago. She has built a career working with such writers as Jose Rivera, Tanya Saracho, Luis Alfaro, Stephen Adly Guirgis, Nilo Cruz, and Brett C. Leonard. She is a regular on the stages of the legendary Steppenwolf Theater and the Goodman Theater as well as other prestigious venues including Victory Gardens, Lookingglass, Actors Theater of Louisville and INTAR. 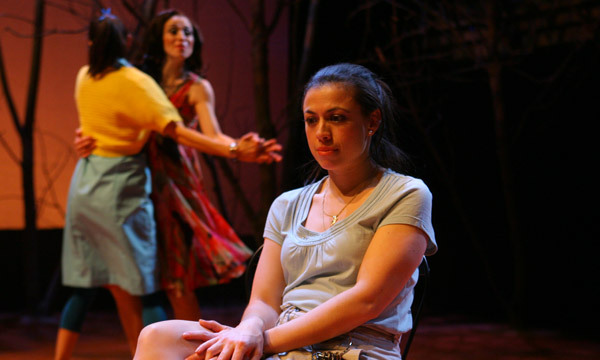 She received the prestigious TCG Fox Foundation Resident Actor Fellowship in 2011 and is in residence at the Goodman Theater in Chicago where she is developing her first full length play with music, para mis Madres. She is a founding ensemble member of Collaboraction and an ensemble member of Teatro Vista, where she served as Associate Artistic Director from 2006-2008.